Tales that are perfect for coffee breaks – but beware; like chocolate, they lure the reader into just one more. Paul Michael Peters has created a magical collection of stories that help the reader look at the day from a different perspective. This is a collection that once you start you can’t put down. Stories are perfect for anyone trying to fit reading into a busy day. What if you could remember everything? What would your life be like if your father was the worlds greatest illusionist? What if your partner was plotting against you? What actions would you avoid if you were the devil? These are only a few of the questions explored in this collection of short stories. There is something about Peters writing that is almost intoxicating and leaves you wanting more. The light feel of the stories is relaxing and charming. Each story carries hints of mystery in connections waiting to be made. Each takes the reader on flights of well-drawn history and place and compelling characterization. A sense of parable and myth builds one story into the next, even when the path is so different. And the whole is a beautifully connected diorama of people and place. 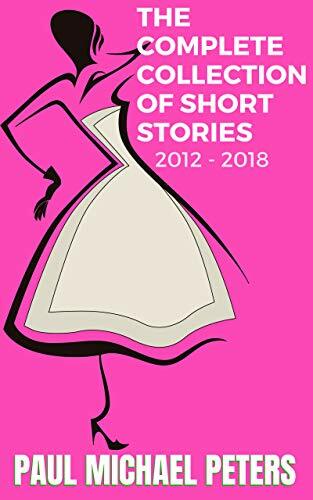 “Paul Michael Peters: The Complete Collection of Short Stories 2012 – 2018” includes all his published and unpublished stories. Top-selling author Paul Michael Peters is an American writer best known for his take on the quirky tangents and morals of contemporary life in his recent novel, Insensible Loss. His upcoming novel, Combustible Punch, is a thriller that explores the psychological dance between that most unlikely of odd couples: a serial killer and a high school shooting survivor.